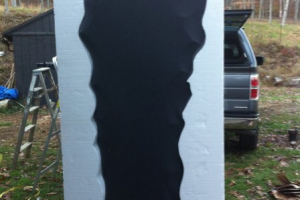 Jesse Price of the Quondam Tree utilized our EPS foam to protect his sculpture for shipping. 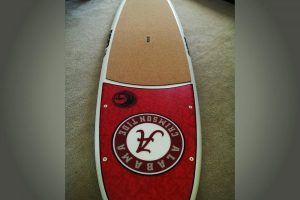 Our customer Speedboard USA, located in Amesbury, Massachusetts, uses one pound density expanded polystyrene as the core for their stand-up paddle (SUP) boards. 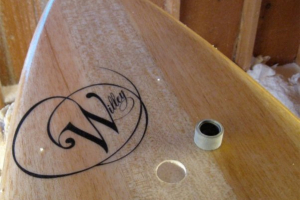 Chris Willey of Willey Surfboards uses ICA EPS blocks to create his custom surfboards. 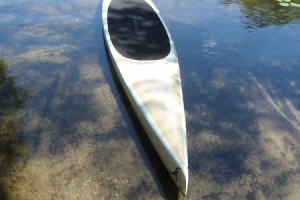 Here he provides his step-by-step process from start to finish. 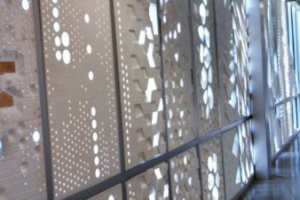 Architecture students used EPS expanded polystyrene, often confused with Styrofoam, insulation and cnc machines to design a group installation in the window bay of the corridor between the Tyler Cafe and the Architecture building. 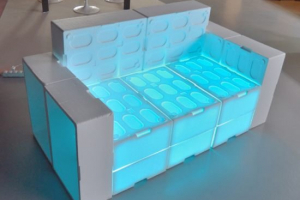 Muka Design Lab from Spain has used recycled EPS fish boxes to create a beautiful, inviting sofa. 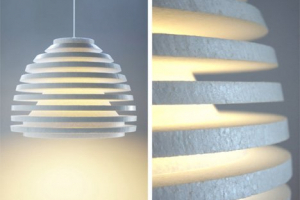 OOOMS created Schizo lamps and vases out of EPS expanded polystyrene. With a transparent finish, these unique pieces are lightweight, durable, and beautiful! These products were displayed at Dutch Design Week in 2011.